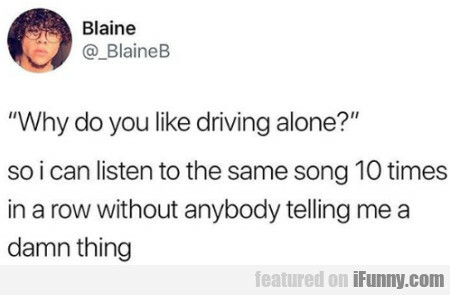 Why Do You Like Driving Alone? - So I Can Listen..
Life Is Meaningless. I Have No Purpose. Ya Ever Go Somewheres N Then Jus Suddenly..